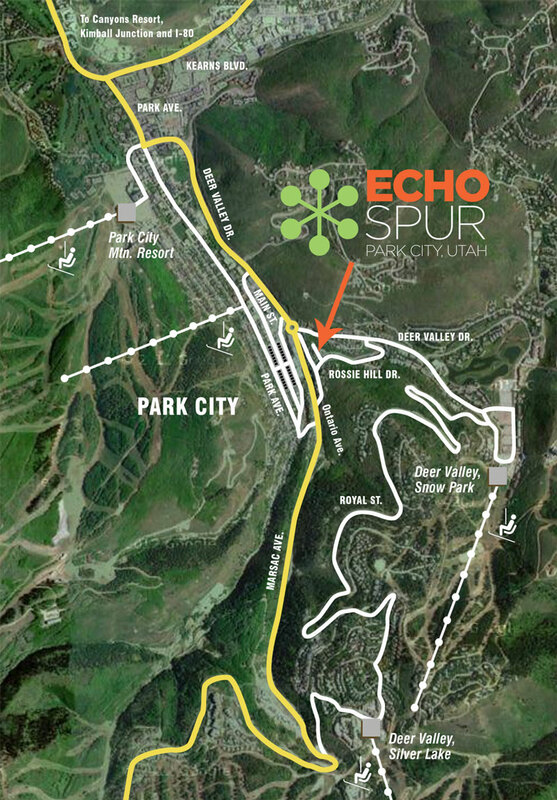 Echo Spur is located in the heart of Park City’s charming Old Town district on sun saturated Rossi Hill. The site runs parallel to Ontario Avenue. 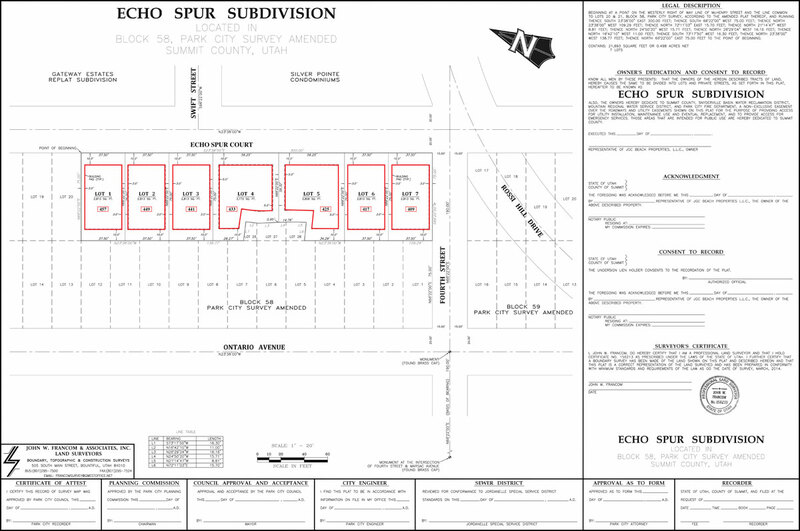 From Deer Valley Drive turn right on to Rossi Hill Drive then right on to Echo Spur Court. Conveniently situated between Deer Valley Resort and Park City Mountain Resort, the Main Street shops, galleries, and restaurants are within easy walking distance down Shorty’s Stairs.